CaribBEING is a young hybrid arts organization working to play several roles: a bridge between established institutions and local communities, a developer of public programs that build arts audiences, and an authentic Caribbean brand with a product line and clear lifestyle sensibility. On the occasion of the group’s official opening earlier this month, I with one of its founders, Shelley Worrell, about how the organization came to be and what they are hoping to accomplish now that they have their own (mobile) home and headquarters. 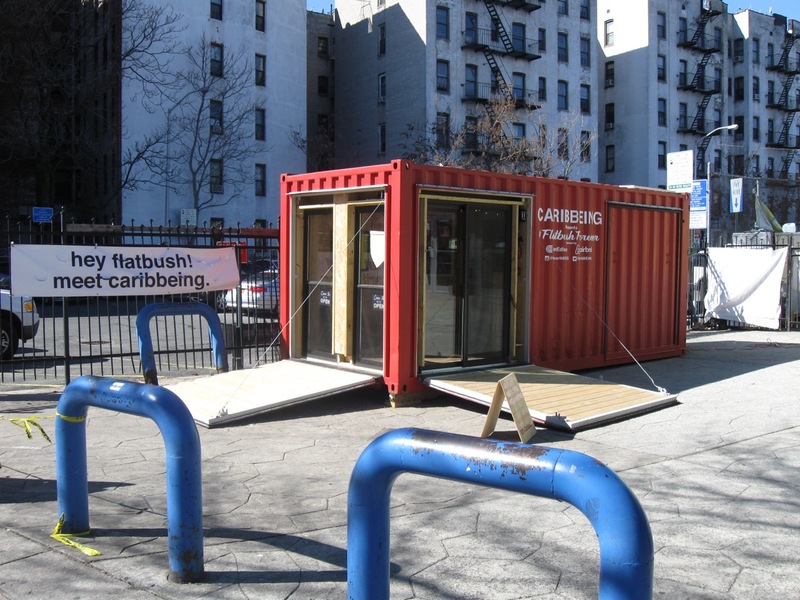 Worrell and I met at the caribBEING house — a shipping container that serves as meeting space, art gallery, and gift shop — which is currently adjacent to Brooklyn’s Flatbush Caton Market and only a few blocks from where Worrell was born. The organization was started in 2010, when she met caribBEING’s other founder, filmmaker JanLuk Stanislas, who had made a film titled On Lanmen ka Lavé Lòt (United We Stand) about relief efforts after the 2010 earthquake that severely damaged Haiti. According to Worrell, the film so powerfully inspired her that she resurrected her own previously failed idea for a film series, subsequently starting the first Caribbean Film Festival in New York. Stanislas continues to make films, spending half his time in Guadeloupe, while Worrell does the most of the organizing and development of their organization along with three part-time associates. To the task or directing and developing this organization, Worrell brings a number of skills she’s honed over her career in both event management and corporate media, having created strategic partnerships for the History Channel and Google. She was an accomplished manager, having served on Google’s global partnerships team and also developing and launching digital channels. 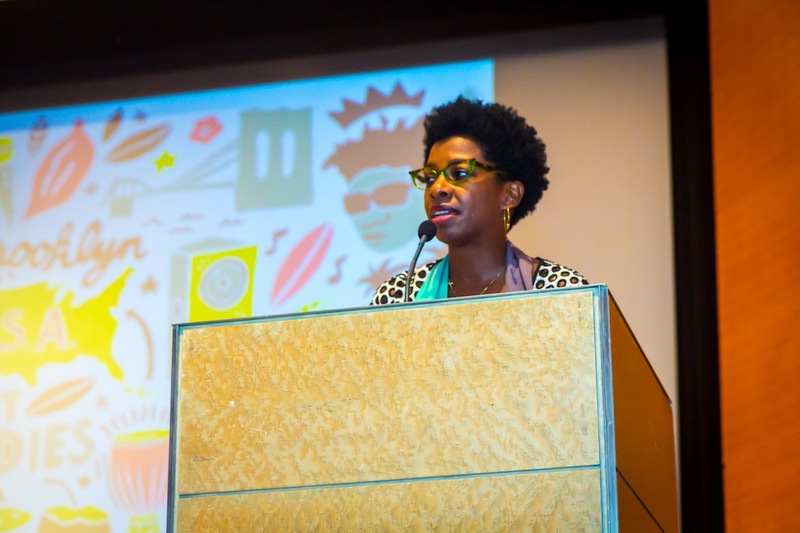 However, it was her work with organizing film festivals that brought her to the attention of the Queens Museum, which hired caribBEING in 2012 to produce the Carnival Panorama project, a series of displays and programs made in partnership with Harlem’s Studio Museum and El Museo del Barrio, which represented the entire Caribbean region through the lens of carnival. As Worrell tells it, this project was her entrée into the museum world. Since then, caribBEING produced nearly 50 programs in partnership with Brooklyn Museum and a film program at BRIC, and this coming June, coinciding with Caribbean Heritage Month, the organization will co-present its annual Heritage Film Series with both the Brooklyn Museum and the Brooklyn Historical Society. 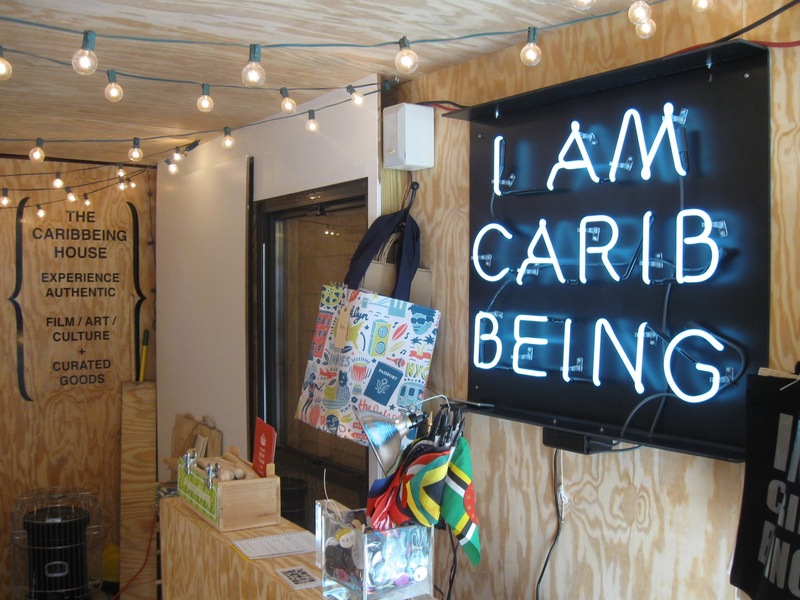 caribBEING receives a mix of public and private funding; the group is one of the recipients of support from the city’s the Department of Cultural Affairs through the Cultural Immigrant Initiative and is also supported by Con Edison and Airbnb. Worrell says they are in the process of seeking additional state and federal funding. What makes caribBEING unique is that although it is a nonprofit organization, it also presents itself a lifestyle brand. There are a variety of products for sale, including T-shirts, tea towels, mugs, and visual art, both in their “house” and in the Brooklyn Museum gift store. The group has also recently opened a second store in Guadeloupe. As Worrell says, “No one is occupying that commercial space,” so she regards this situation as an opportunity to fill that gap. Worrell started by making T-shirts for herself that declared “I am Carib Being,” then quickly found that there was high demand in the community for swag with this sort of message. The trick to caribBEING’s branding is that it is specific and particular, but not exclusive. The website offers the definition of caribBEING as “A 21st-century person born in and/or of descent from the Caribbean; an adventure-seeker with a strong desire to travel and explore the Caribbean.” This allows for people who come from other parts of the world but are interested travelers and appreciative observers to also join in this identity position. 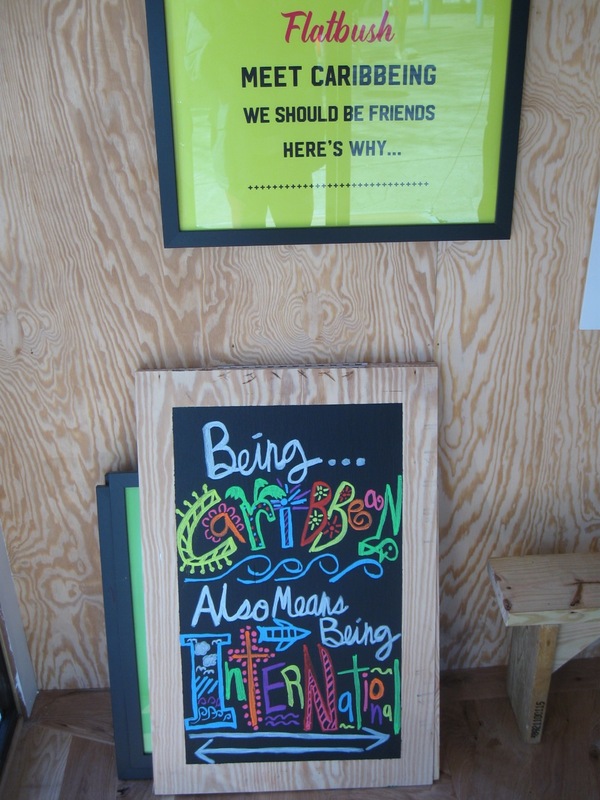 caribBEING is an intriguing agency that has forgone the threadbare model of a community-based, arts-related nonprofit, instead aspiring to grow and expand its mission by being both mercantilist and politically involved. It is an organization to watch. 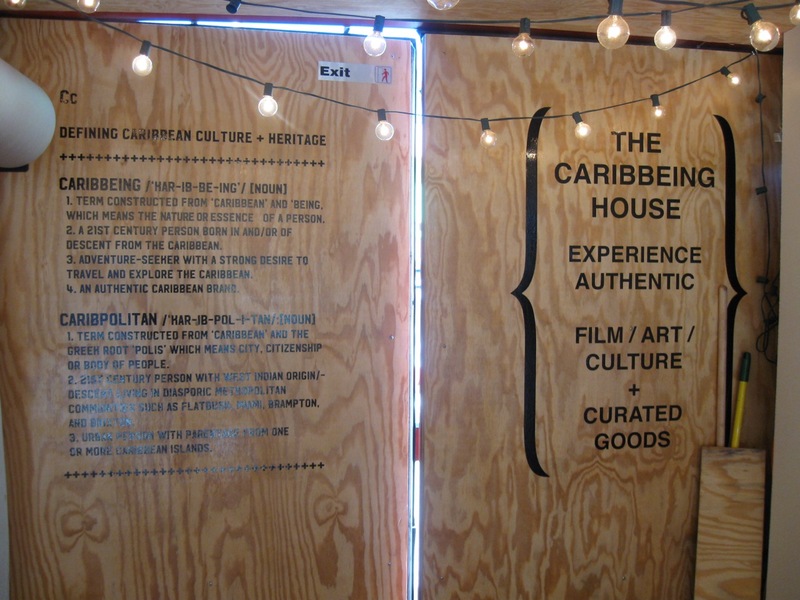 The caribBEING house, which is adjacent to the Flatbush Caton Market at 794 Flatbush Avenue, welcomes visitors on Saturdays from 12 to 7 and Sundays from 12 to 5.